KANSAS CITY, Mo. – Auburn and North Carolina actually provided all the tracks they had expected. Eventually, the tigers were still jumping to the finish line – and their second Elite Eight appearance in the history of the school. 1; they ended up with a combined 21 point out of 15 out of 15 shooting from the court – Auburn relied on other names to get the job done. The biggest surprise came from forward Chuma Okeke, who shot 73 percent and was 3 out of 5 from beyond the bow. He finished with a double-double of 20 points and 11 rebounds. But Okeke left the game in the second half with a scary knee injury and did not return. As he drove to the basket, Okeke strained his left leg, and he twisted the pain on the court before he gnawed into the wardrobe. Second place, Danjel Purifoy and J & # 39; Von McCormick came out of the bench to hit some big-time shots. Purifoy was 4 out of 6 from 3 point country while McCormick had 10 points and was a great two-way presence running the ball in the basket and nabbing two stealing at the defense. That's a good thing, coach Bruce Pearl is comfortable playing 10 because Auburn got his best games from his role players. While it was still a typical Tiger's track, Pearl's team met 46 percent from three at 37 attempts – it was not unfolded from the usual names. 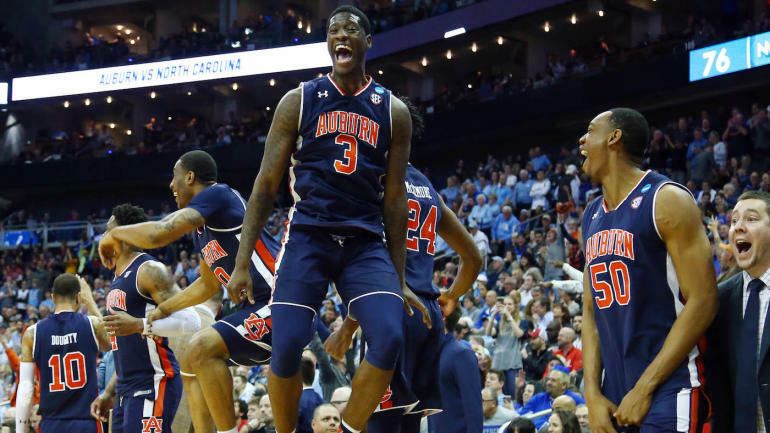 Auburn's bench outscored North Carolina's 40-21. Tar Heels could not buy a bucket off the arch. When it was clear that they were going to catch, it was too late. Roy Williams will regret the efforts of his players in the first half. Auburn was out-rebounding North Carolina in the first half and giving great effort second chance offensive as well as on defense. As a result, Auburn will play Sunday No. 3 Seed Houston or No. 2 Seed Kentucky. Dennis Dodd is in Kansas City and CBS Sports was with you throughout the game on Friday night with our live blog below. If you have trouble viewing the blog, click here.